The Police Response Team (PRT) of the Royal Solomon Islands Police Force (RSIPF) destroyed two crocodiles at Kolombangara Island in the Western Province on 13 March 2018. 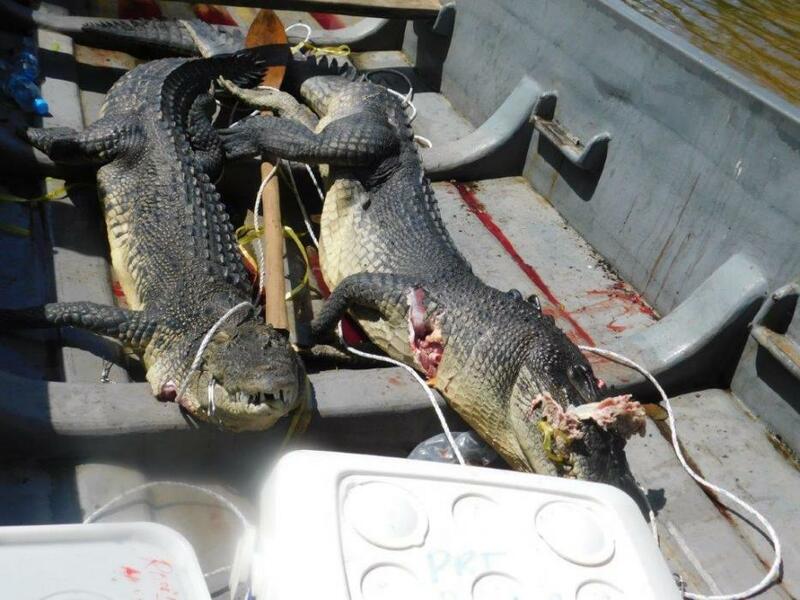 “As a result two crocodiles measuring from three to three and half meters long were destroyed by PRT members at a river in the Lolu Village on Kolombanga Island,” says Chief Superintendent Riolo. •Submit a formal request through the office of the Provincial Police Commanders (PPC) or to your nearest police station, stating very clearly where the crocodile or crocodiles have been sighted. •If the community leader wishes to cancel the request to destroy the crocodile/s, they must do so in writing to the same PPC that they have made the original request.